Gone to See Europe 2014. Day 5: Semester at Sea, Spring 2014 Enrichment Voyage. Lerwick, Shetland Islands, Scotland. 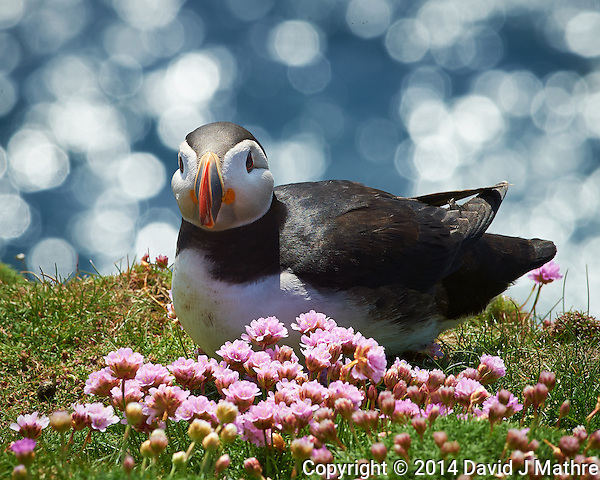 Puffin and Pink Flowers at the Lighthouse in Lerwick, Scotland. Image taken with a Nikon Df camera and 300 mm f/2.8 VR lens (ISO 320, 300 mm, f/16, 1/250 sec). Raw image processed with Capture One Pro, Focus Magic, and Photoshop CC 2014.